OLDHAM: United Kingdom had no solid platform to vitalize the true spirit of journalism which could properly represent the journalists. 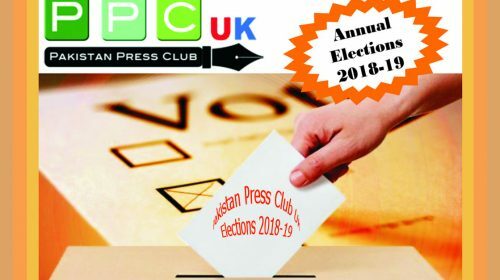 So, after making long deliberations and consulting with my friends and colleagues working in the field, Pakistan Press Club England was established. 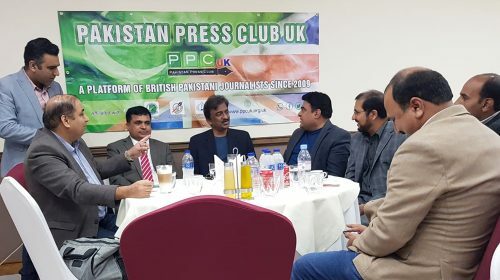 It was agreed as a basic principle that only the people actually associated with the journalism would be given membership. 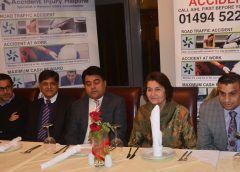 Addressing the office-bearers and workers of North-West at an annual dinner, President Pakistan Press Club UK Mobeen Chaudhry said journalism and politics had a strong bond with each other. “Patiently and steadfastly, we started our journey towards future to achieve our objectives,” he said. 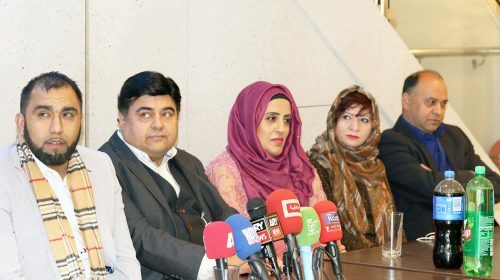 Mubeen said journalists should serve the people considering it worship and while doing so they should rise above their personal gains and liking or disliking. 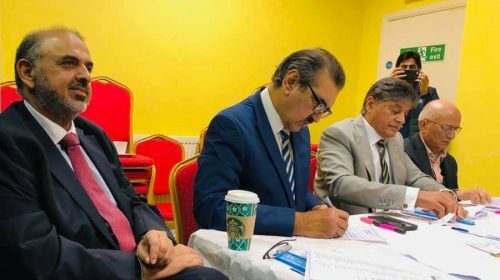 He said as president of the club it was his duty to safeguard interests of the journalist community and raise voice for their rights and security. 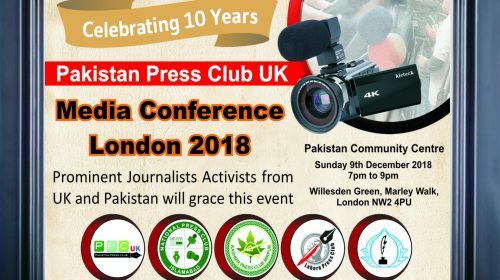 He said journalists in Britain must be given same benefits as they are enjoying in Pakistan, for, they are also utilizing their energies and working for their dear motherland. 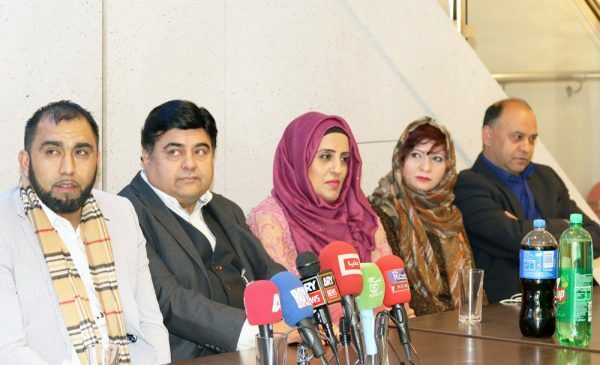 Mayor Councilor of Oldham Council Atiqur Rehman said Press Club had shown significant progress in a short period and due to the professional attitude and abilities of its office-bearers and members, Club’s services were being acknowledged not only in United Kingdom and Europe but also in Pakistan at government level. 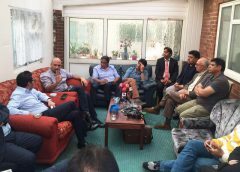 Atique pledged that he will continue supporting Press Club in future. 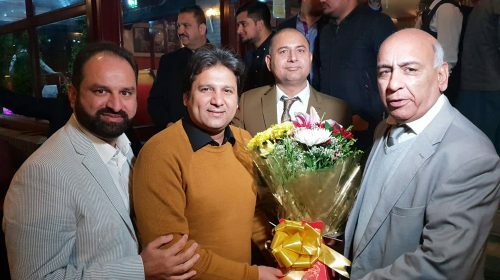 PPC Senior Vice President Arshad Rachial briefed about performance of the Club during last many years and also highlighted its objectives in detail. 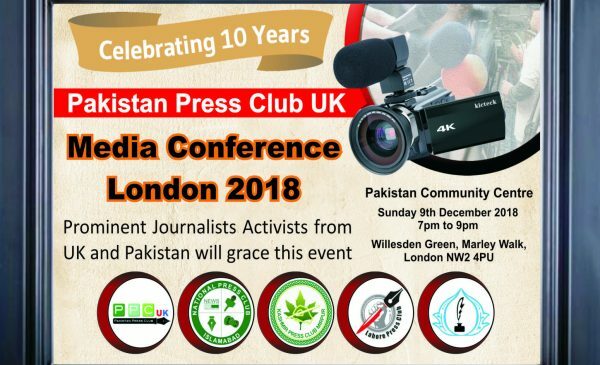 Member European Parliament Amjad Bashir, Afzal Khan, former president Press Club Fayyaz Ghafoor, secretary finance Akram Chaudhry, deputy secretary general Majid Nazir, member executive committee Imran Khalid and many more from all fields of life attended the event. The event started with recitation of the Holy Quran. Qari Shafiqur Rehman Shaheen had the privilege to recite verses from Holy Quran. 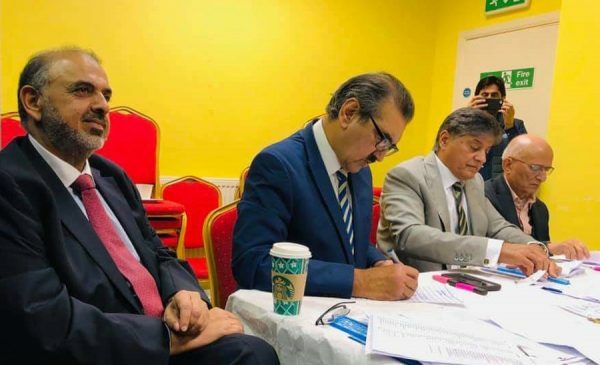 Ishaq Chaudhry was the stage secretary during the event. On the occasion, it was announced that a branch of the Club will be established in Bredford. 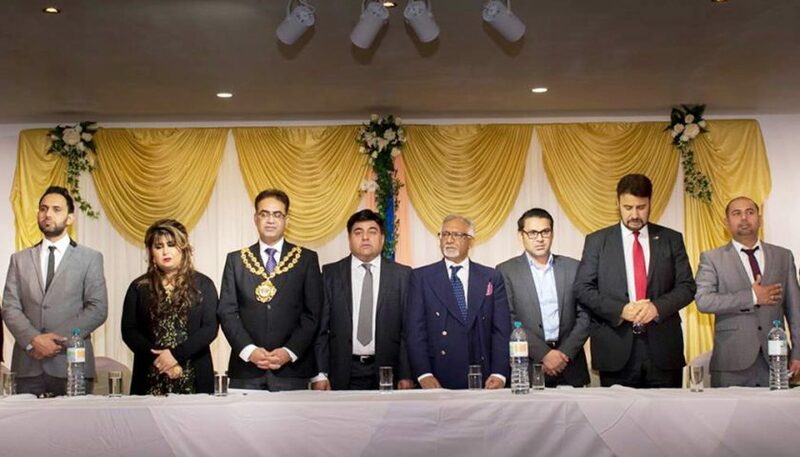 Mayor of Oldham Council Atiqur Rehman administered the oath to office-bearers. National Anthem of Pakistan was also played on the occasion. Liaquat Mani made the people smile. Young Amaan Majid was presented a special shield for his arrangements to finalise the programme. A musical show was arranged at the end of the event.